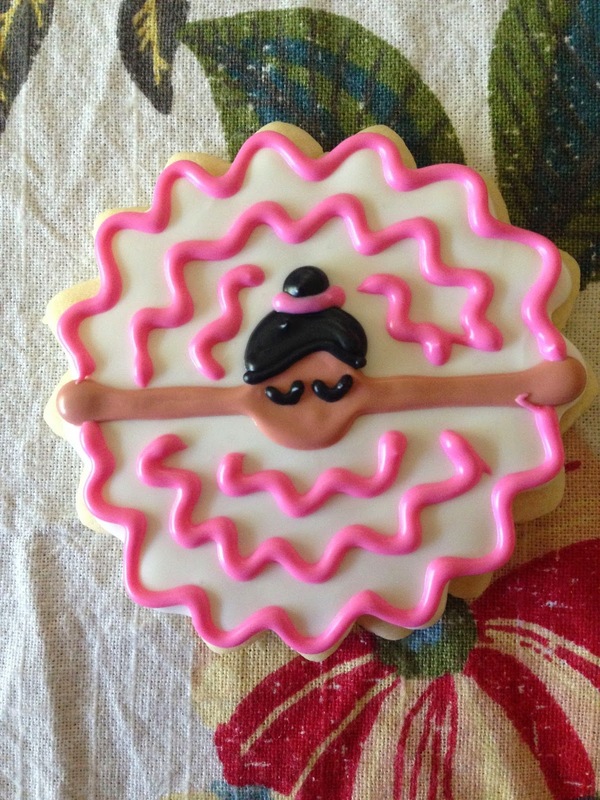 i'm always on the lookout for cute cookie designs that i hope to do someday. i save them to a pinterest board, so i can find them easily later on. 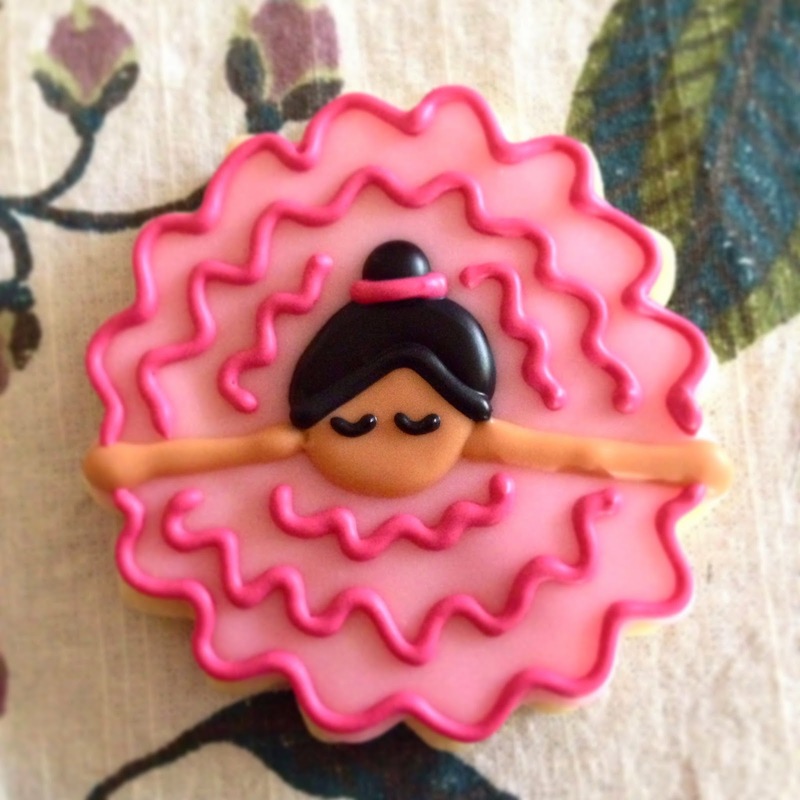 one of those was sweet sugarbelle's bowing ballerina cookies, which i was pretty excited to finally tackle last week. 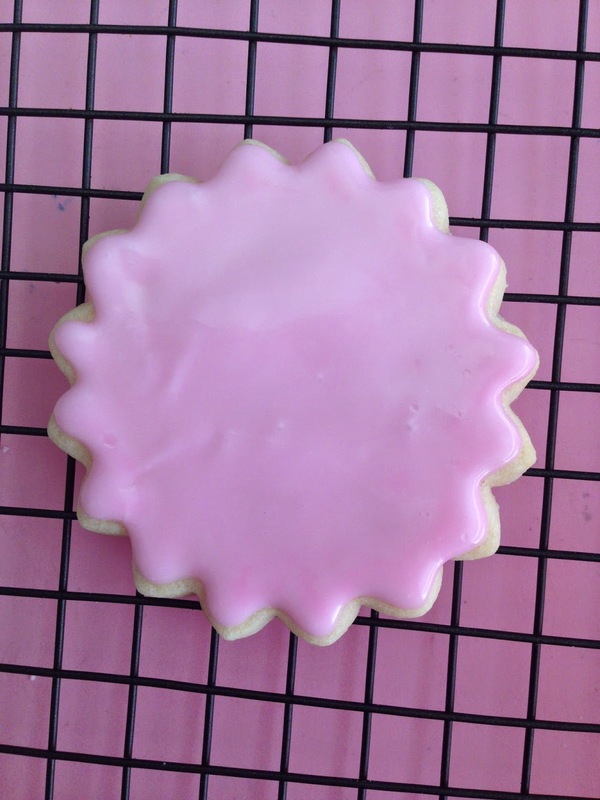 i somehow managed to even have the same cookie cutter she used in my stash, which was awesome. 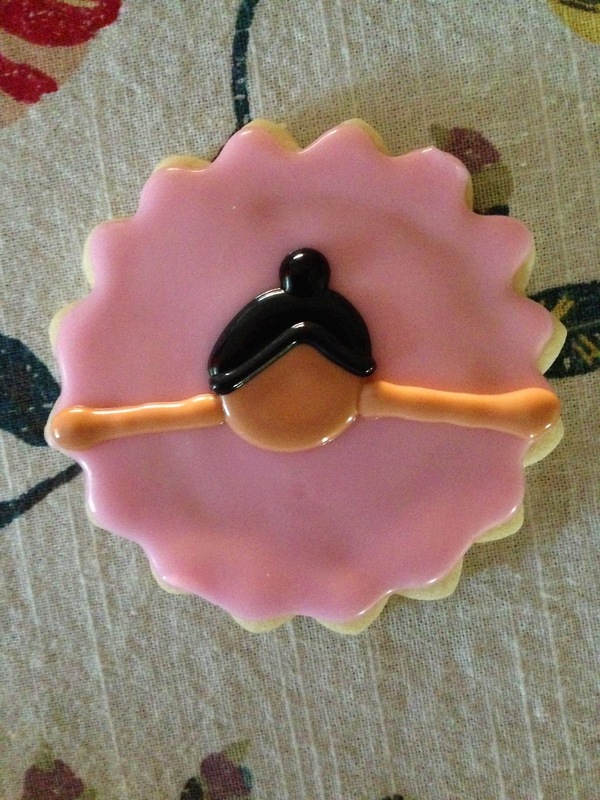 after the usual routine - mixing dough, rolling, cutting, baking, and finally flooding, i had a couple dozen of these all ready to decorate. 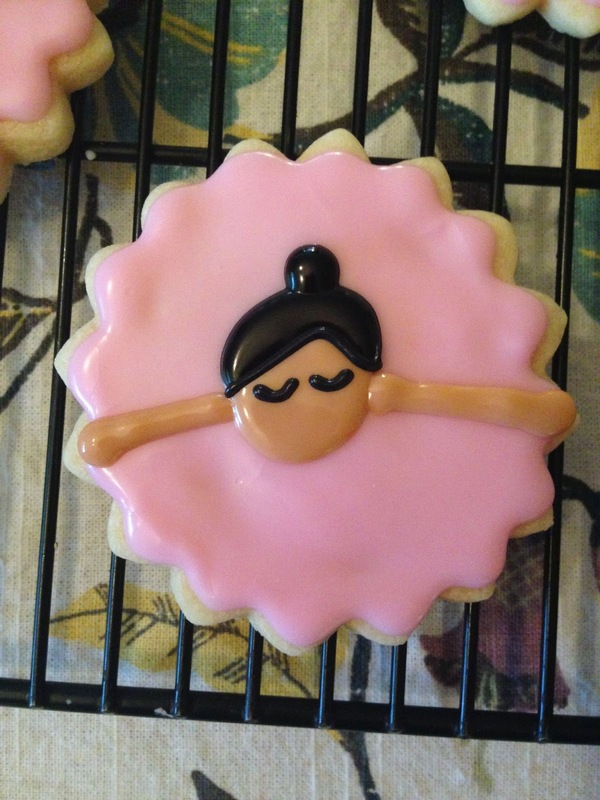 in her version, she also bakes a mini cookie to form the head and ballerina bun and then attaches it to the top with a little royal icing glue. because i'm lazy and am always looking for a short cut, i let the bases dry and then tried my hand at simply freehanding the design on with frosting. first, the face. and little eyes, shut tight. 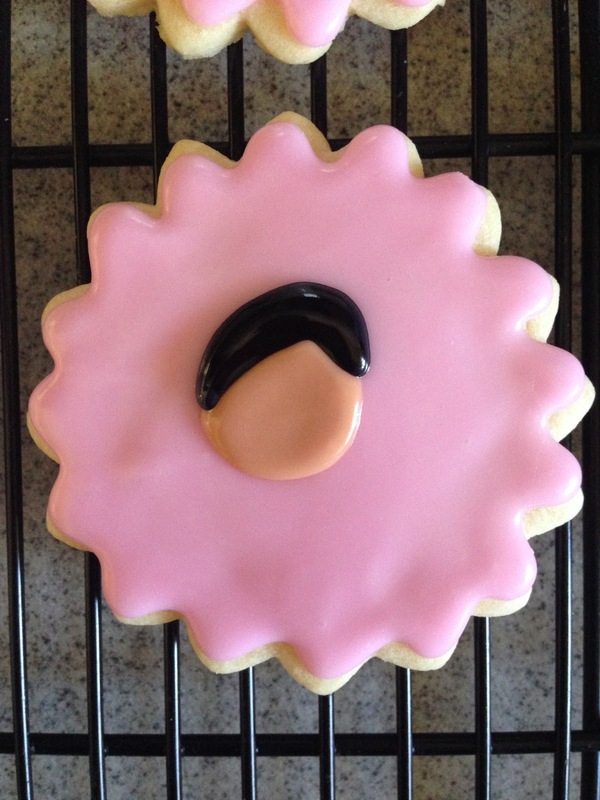 it wasn't until after i had all two dozen of these little beauties all wrapped up and packed, ready to ship, when i remembered something: the little birthday ballerina that these were for has a milk allergy. 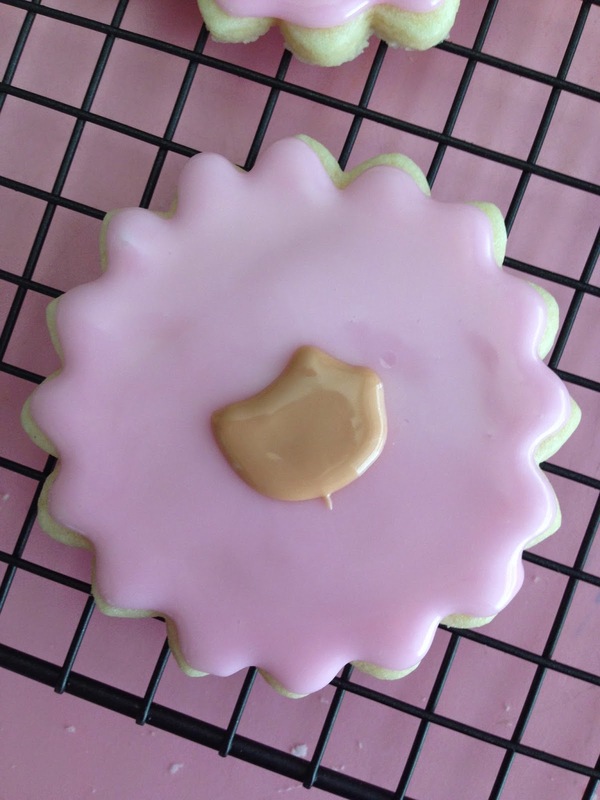 this meant that i'd needed to use vegan butter in the cookie dough and an alternate to cow's milk in the frosting. CRAP. phew. and now i have 3 sticks of vegan butter kicking it in the fridge, just waiting to be used. 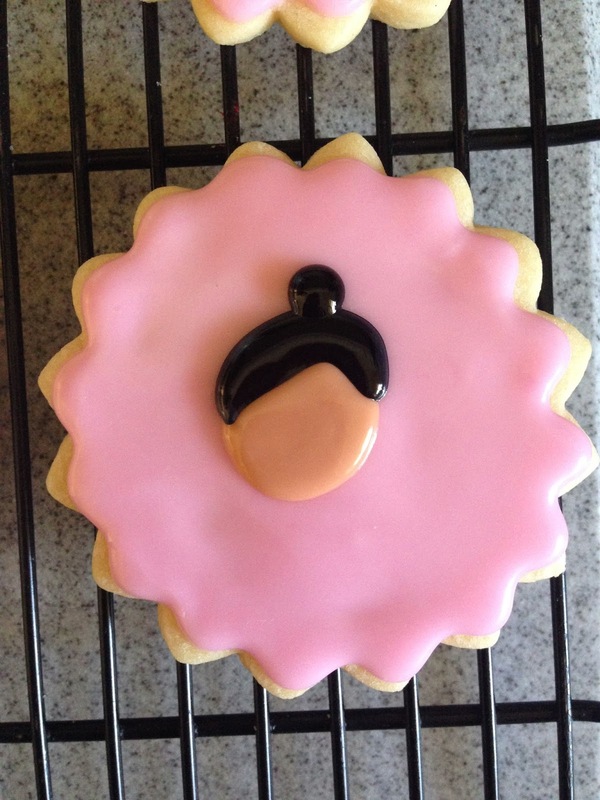 plus, today i get to bake up half a dozen cookies to submit for judging in this year's culinary competition at the los angeles county fair. 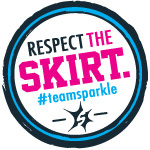 i've managed to place in the top 3 for the last couple of years and i'm hoping to continue the winning streak. they get dropped off at the fairgrounds tomorrow, and then a short wait until friday when the fair officially opens to see if i placed again. I pronounce you the first prize winner!